My name is Lauralynn Gibbons. i have been involved with horses most of my life and grew up in a small town outside Alliston Ontario. I always had a love, passion and gift some would say when it came to horses from a very young age, but as we grow and change along with our lives it took many years, marriage, children, college and work to be able to have my passion and love for horses resurface in a very unique and unexpected way. I started a number of years ago with the idea of rescuing and training a horse for our family. So we found a horse that was in desperate need of rescue "knickers" a 3 yr old standard bred mare. Who was left in a field with no training or human contact to really speak of, as a yearling she had gotten herself tangled in some wire fencing and had a lot of scarring on her lower legs, we took her home, spent time grooming, hand walking, and talking to her to build trust, once we were at a comfortable level we began groundwork and saddle training within 30 days "knickers" was ride able, she was the beginning of our adventure. we decide to begin to rescue unwanted, neglected, abused, retired race horses, and meat auction horses and retrain them as riding horses to give them a second chance at life. 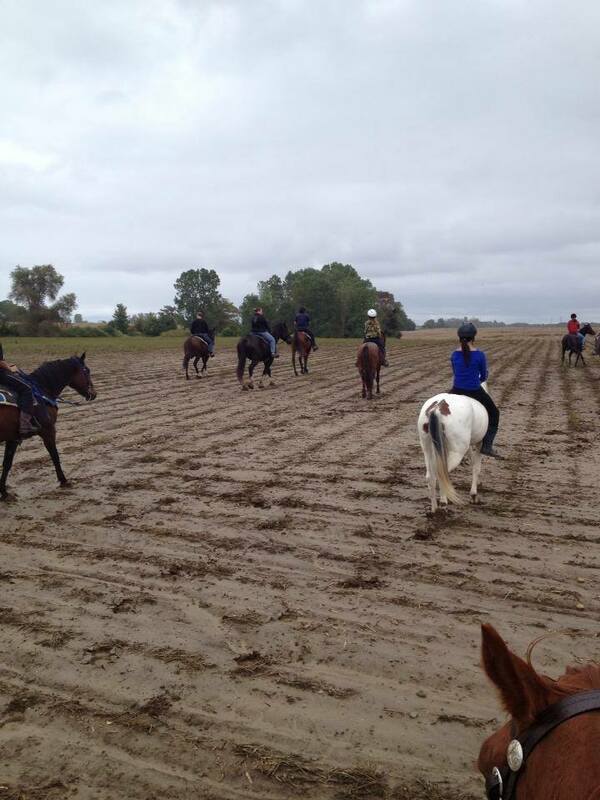 Those that were unsuitable for our lesson or for our pleasure trail rides program we resold to wonderful homes. We are able to continue on doing so with the help and support of all our volunteer barn staff, some great friends, donations, our riding lessons, camps, our "home horse shows" and fundraisers. We hope to continue on as long as possible to offer a home to those horses in need. Majority of our horses are rescues in one form or another. Rescue horses on like any other suffer like us humans from tragedy, weather it be the lose of their home, pasture friends, the terror and injuries some fatal from overcrowding, being in a kill pen or meat pen, physical, mental abuse from uneducated and harsh owners. No animal should have to endure these atrocities. i want to want to make a difference, or as a very smart man once told me "Be the change you want to see in the world"
Through the years i have acquired a number of certificates and completed a number of courses to help me understand and be able to assist these majestic animals. I have completed equine studies, equine first aid, equine behavior, equine nutrition,along with my personal learning experiences though my life and many things I have learned from other professionals in the field.